The successful White Line experienced a facelift. 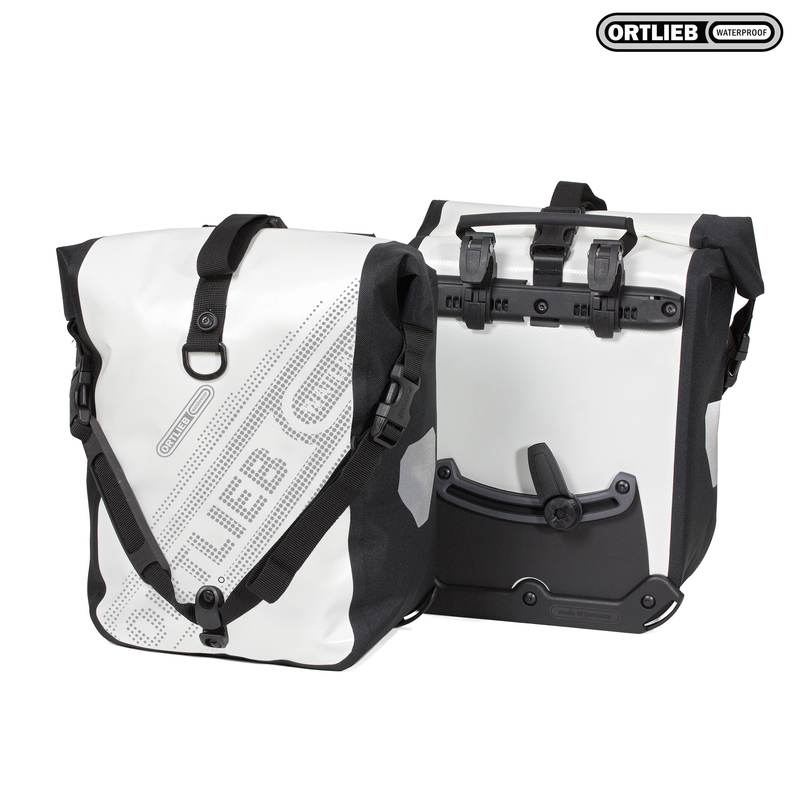 The bags with large Ortlieb logo printing have been in the Ortlieb collection for some time. For 2014, the entyre line was updated; new graphic work, updated logo print, Ortlieb use a newly developed PVC-free fabric, the black/white colour combination maintains the favourite classic look. Ortlieb's far travelled classic model made of robust nylon fabric is designed for lowriders in the front or for the rear rack, and is also suitable for children's bikes. With its QL2.1 system it is quickly mounted and taken off the bike rack. These panniers are indeed fully waterproof.